New Jersey law enforcement officers are always on the lookout for drivers who are operating their vehicles under the influence. While drunk driving in New Jersey is not a criminal offense but a traffic offense, that doesn’t make the penalties any less harsh if they are caught and convicted of the infraction. 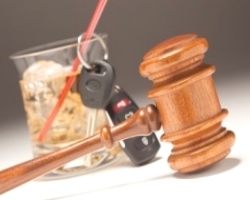 Drivers must understand how a DWI stop will come about and what will happen from the time they are detained through the resolution of the trial. This is especially true if it is a first conviction. Drivers might not be aware that the police are not allowed to make a traffic stop to investigate a DWI on a whim. There has to be just cause. If there isn’t just cause, the entire case could be tainted and the evidence inadmissible without a viable reason to make the traffic stop. This could be a vehicle committing a traffic violation such as speeding, swerving in and out of traffic or improper passing. Or it could be a witness contacting police and saying that a driver who appears to be drunk is on the road. Once the stop is made the officer will ask for the driver’s license, registration and proof of insurance. While this information is being provided, the officer will look for signs that the driver might be intoxicated. These can include slurring words, having bloodshot eyes or smelling of alcohol. Once it has been established that a DWI might be in progress, the officer will have the driver take field sobriety tests such as the One-Leg Stand Test, the Horizontal Gaze Nystagmus Test and the Walk-and-Turn Test. After that, there will be a breathalyzer test. The breathalyzer has a certain protocol that must be followed. The driver must be observed by the officer for 20 minutes to ensure that nothing is done to compromise the accuracy of the test. This can include chewing gum or smoking a cigarette. When the breath test is given, there will be a reading of the blood alcohol content. A driver is not allowed to refuse a breath test. It will lead to a charge of breath test refusal even if the driver has not been drinking. A driver age 21 or over who registers 0.08% or above will be arrested for DWI. If the driver is under age 21, the BAC must be 0.01% for an arrest. For commercial drivers, the limit is 0.04%. Once the arrest is made the process of heading to trial will commence. 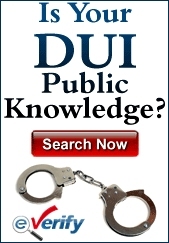 There is generally no reason to plead guilty in a DWI case in New Jersey. There are no plea bargains and it makes sense to go through with the trial and try to win an acquittal to avoid the impact of a conviction. If the driver is convicted, there will be a number of penalties he or she will face and their severity depends on the BAC. A driver who registers 0.08% but below 0.10% will have the driver’s license suspended for three months. There will be a series of fines and surcharges. There will be a fine of $250 to $400. $100 will be paid to each of the Alcohol Education and Rehabilitation Fund (AERF) and the drunk driving fund. $230 will be paid to the Intoxicated Driver Resource Center (IDRC). $75 will be paid to the Neighborhood Services Fund. There will be surcharges of $1,000 for three years after the conviction. There can be a jail sentence for up to 30 days. The driver will also have to spend between 12 and 48 hours at the IDRC. DWI conviction can also impact immigration status. With higher BAC come more significant penalties. If the driver registers 0.10% or higher or is caught driving under the influence of drugs, the driver’s license suspension will be for seven months to one year. The fine will be for $300 to $500. The IDRC fee will be for $230. The Neighborhood Services Fund, AERF and drunk driving fund all remain the same as with the lower BAC. The surcharge is $1,000 per year for three years. There can be jail time for up to 30 days. A major difference with the higher BAC is that if it is 0.15% or higher, an ignition interlock device will be placed on the driver’s vehicle for the duration of the license suspension and for six months to one year after the driving privileges have been reinstated.